Washington, D.C. (June 22)-Longtime NABJ member and Louisville columnist Betty Baye is among 700 employees laid off Tuesday by Gannett's newspaper division. It's the single largest day of layoffs in two years, sending talented black journalists into unemployment lines. The National Association of Black Journalists received reports that there are fewer or no people of color working as reporters, columnists, editors at some Gannett newspapers. NABJ is concerned about its members who are among the 2 percent of Gannett's current workforce who are being dismissed as company executives are rewarded with bonuses that exceed $1 million. According to a Gannett report provided to the Securities and Exchange Commission, Gannett CEO Craig Dubow's total compensation doubled, going from $4.7 million in 2009 to$9.4 million in 2010. His bonus was reported as $1.75 million in 2010. 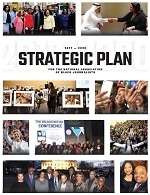 "We want Gannett to do the right thing, and if its leadership needs our assistance, we are prepared to help them as they make decisions that affect diversity," said NABJ President Kathy Y. Times. "This news is a bitter pill to swallow as executives continue taking home big bonuses." Gannett's vice president of Talent Acquisition and Diversity, Virgil Smith, told NABJ the company went through a painstaking process to make sure no group is affected disparately. We know the varied communities our members serve will lose their chance to be heard if everyone in the newsroom has the same background. Our organization will compile a list of laid-off members to send them special assistance packages and provide job placement support. Membership for all laid-off employees will be extended six months from their current expiration dates so that these members will have access to services such as job postings at www.nabj.org. These displaced members also will be eligible for financial assistance to attend this year's Convention and Career Fair, scheduled Aug. 3-7 in Philadelphia. From a business perspective, we want to remind Gannett that some corporations are strengthening their commitment to diversity as our nation becomes more brown and black. It makes good business sense. Our nation's history is replete with examples of what happens when newsrooms failed to recognize the growing African-American communities. What is deeply troubling is that many Gannett employees will lose their jobs, not because of performance or seniority, but solely to slash newsroom budgets within one of the nation's largest newspaper chains. Among the Gannett newsrooms affected by cuts are The Indianapolis Star and Arizona Republic. "It is important to note that these decisions do not reflect individual performance and we thank and respect those employees for their work," said a statement to employees by Bob Dickey,president of Gannett's U.S. Community Publishing. "We will do everything we can to help them and to minimize the impact on our other employees going forward. In an effort to reduce the number of people being let go, there will be furloughs in the coming months but they will be limited only to those on the USCP corporate payroll who make over a certain salary." Gannett cited the slow economic recovery as part of the reason for making the cuts. 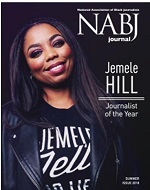 "It is my hope that each newspaper publisher considers diversity when making its decisions and that performance and staffs that reflect the communities remain a key to that process," said Deirdre M. Childress, NABJ vice president-print. Effective Wednesday, June 22nd, 2011, NABJ will offer members and non-members the opportunity to submit a profile to NABJ C.A.R.E.S. (Career Assistance, Recovery, and Employment Search) detailing their professional history and information, from which we will do our best to match those who were recently laid-off with employment opportunities as they become available.